habe ein etwas größeres Problem mit dem BF 2 Editor (V.0.1.102.0) und bin jedehilfe sehr dankbar! Mein Problem: Sobald ich versuche einen Map zu Laden oder zu Erstellen, stürtzt der Editor 2 mit ab. HW occlusion culling is default off. [RendDX9] : Texturemanager cubetexture created: Created from code. [Console] : Couldn't open console script "Menu/Atlas/AtlasList.con"
[Console] : Couldn't open console script "Menu/HUD/HudSetup/Basic/HudElementsGameInfo.con"
[GameLogic] : CREATING TRIGGERABLE MANAGER! [Console] : Couldn't open console script "mods/bfkorea/layerinit.con"
[Physics] : CollisionManager::createTemplate(flagpole) : Overwriting old path : "objects/common/flags/flagpole/Meshes/" with new path : "objects/common/flags/flagpole/Meshes/"
Ignored Warning[base] : Template with name: flagpole already exists. Setting existing one as active. Ignored Warning[base] : Template with name: flagpole_SFXBundle already exists. Setting existing one as active. Ignored Warning[base] : Template with name: UnlockCHAssault already exists. Setting existing one as active. Ignored Warning[base] : Template with name: UnlockCHAssault2 already exists. Setting existing one as active. Ignored Warning[base] : Template with name: UnlockChAT already exists. Setting existing one as active. Ignored Warning[base] : Template with name: UnlockChAT2 already exists. Setting existing one as active. Ignored Warning[base] : Template with name: UnlockChEngineer already exists. Setting existing one as active. Ignored Warning[base] : Template with name: UnlockChEngineer2 already exists. Setting existing one as active. Ignored Warning[base] : Template with name: basker already exists. Setting existing one as active. Ignored Warning[base] : Template with name: canteen40 already exists. Setting existing one as active. Ignored Warning[base] : Template with name: sim_kit already exists. Setting existing one as active. Ignored Warning[base] : Template with name: ch_kit_gun2 already exists. Setting existing one as active. Ignored Warning[base] : Template with name: knife5 already exists. Setting existing one as active. Ignored Warning[base] : Template with name: UnlockCHMedic already exists. Setting existing one as active. Ignored Warning[base] : Template with name: UnlockCHMedic2 already exists. Setting existing one as active. Ignored Warning[base] : Template with name: UnlockCHSniper already exists. Setting existing one as active. Ignored Warning[base] : Template with name: UnlockCHSniper2 already exists. Setting existing one as active. Ignored Warning[base] : Template with name: UnlockCHSpecops already exists. Setting existing one as active. Ignored Warning[base] : Template with name: UnlockCHSpecops2 already exists. Setting existing one as active. Ignored Warning[base] : Template with name: UnlockCHSupport already exists. Setting existing one as active. Ignored Warning[base] : Template with name: UnlockUSAssault already exists. Setting existing one as active. Ignored Warning[base] : Template with name: UnlockUSAssault2 already exists. Setting existing one as active. Ignored Warning[base] : Template with name: UnlockUSAT already exists. Setting existing one as active. Ignored Warning[base] : Template with name: UnlockUSEngineer already exists. Setting existing one as active. Ignored Warning[base] : Template with name: UnlockUSEngineer2 already exists. Setting existing one as active. Ignored Warning[base] : Template with name: MIVDoubleMag11 already exists. Setting existing one as active. Ignored Warning[base] : Template with name: MIV_and_pistol_mag9 already exists. Setting existing one as active. Ignored Warning[base] : Template with name: Canteen8 already exists. Setting existing one as active. Ignored Warning[base] : Template with name: MIVDoubleMag13 already exists. Setting existing one as active. Ignored Warning[base] : Template with name: MIV_and_pistol_mag8 already exists. Setting existing one as active. Ignored Warning[base] : Template with name: Sustainment_pocket4 already exists. Setting existing one as active. Ignored Warning[base] : Template with name: Waist_pack3 already exists. Setting existing one as active. Ignored Warning[base] : Template with name: MIVDoubleMag12 already exists. Setting existing one as active. Ignored Warning[base] : Template with name: MIVDoubleMag10 already exists. Setting existing one as active. Ignored Warning[base] : Template with name: single_pistol_mag4 already exists. Setting existing one as active. Ignored Warning[base] : Template with name: pistol_holster10 already exists. Setting existing one as active. Ignored Warning[base] : Template with name: Radio5 already exists. Setting existing one as active. Ignored Warning[base] : Template with name: single_pistol_mag5 already exists. Setting existing one as active. Ignored Warning[base] : Template with name: UnlockUSMedic already exists. Setting existing one as active. Ignored Warning[base] : Template with name: UnlockUSMedic2 already exists. Setting existing one as active. Ignored Warning[base] : Template with name: UnlockUSSniper already exists. Setting existing one as active. Ignored Warning[base] : Template with name: UnlockUSSpecops already exists. Setting existing one as active. Ignored Warning[base] : Template with name: UnlockUSSpecops2 already exists. Setting existing one as active. Ignored Warning[base] : Template with name: UnlockUSSupport already exists. Setting existing one as active. Ignored Warning[base] : Template with name: UnlockUSSupport2 already exists. Setting existing one as active. Ignored Warning[base] : Template with name: UnlockUSAT2 already exists. Setting existing one as active. Ignored Warning[base] : Template with name: scarf3 already exists. Setting existing one as active. Ignored Warning[base] : Template with name: cap already exists. Setting existing one as active. Ignored Warning[base] : Template with name: UnlockUSSniper2 already exists. Setting existing one as active. Ignored Warning[base] : Template with name: us_heavy_soldier already exists. Setting existing one as active. Ignored Warning[base] : Template with name: us_light_soldier already exists. Setting existing one as active. Ignored Warning[base] : Template with name: ch_heavy_soldier already exists. Setting existing one as active. Ignored Warning[base] : Template with name: ch_light_soldier already exists. Setting existing one as active. Ignored Warning[ToolObject] : Couldn't activate template: UAVVehicle. Template does not exsist. Ignored Warning[ToolObject] : Couldn't activate template: Sound. Template does not exsist. Ignored Warning[FireComponents] : Fire rate must be sync:ed with physics frames. Valid values are anything divisible by 1800, ie 300, 360, 450, 600, 900 and 1800. 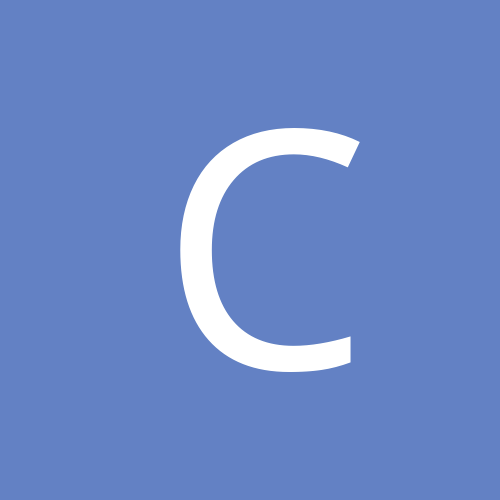 [Physics] : CollisionManager::createTemplate(ushgr_m67) : Overwriting old path : "objects/weapons/handheld/gbgr_sa80a2_l85/Meshes/" with new path : "objects/weapons/handheld/ushgr_m67/Meshes/"
Ignored Warning[base] : Template with name: usrif_mp5_a3_Projectile already exists. Setting existing one as active. Ignored Warning[base] : Template with name: S_usrif_mp5_a3_Projectile_Looping already exists. Setting existing one as active. Hat jemand evt. eine Ahnung was hier lso ist? Schon mal danke für eure Hilfe im voraus! Ich glaube deine grafik karte ist das problem. Im editor forum wurde öfters das problem mit 9000er karten beschrieben. Geh doch da mal über die search funktion und suche nach "9200SE". Da findest du dann 3 topics dazu. So sehen übrigens die ersten zeilen bei mir aus, alle "Ignored Warning" die auftreten können sind ganz normal und ignoriert worden. Vielen Dank für deien Antwort, habe mich mal im Forum umgesehen, sieht so aus das 128mb als Grafikarten-Ram nicht reichen-da kann man dann nichts machen. Aber trozdem danke für deine Mühe! 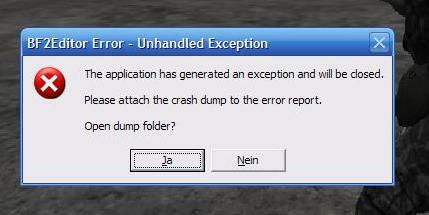 Was bringen eigentlich die Dump folder?